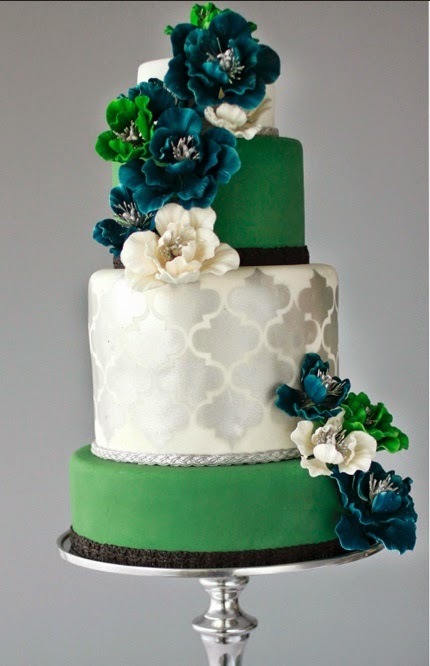 With fall weddings around the corner, I wanted to share with you one of my favorite wedding color trends: jewel tones. 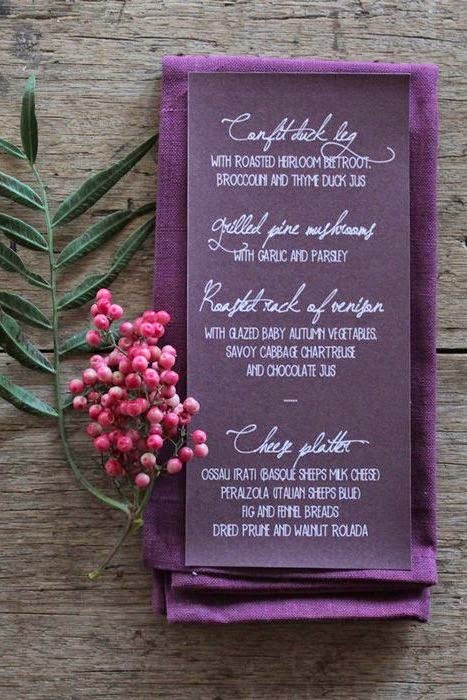 Jewel tones are perfect for a fall wedding. 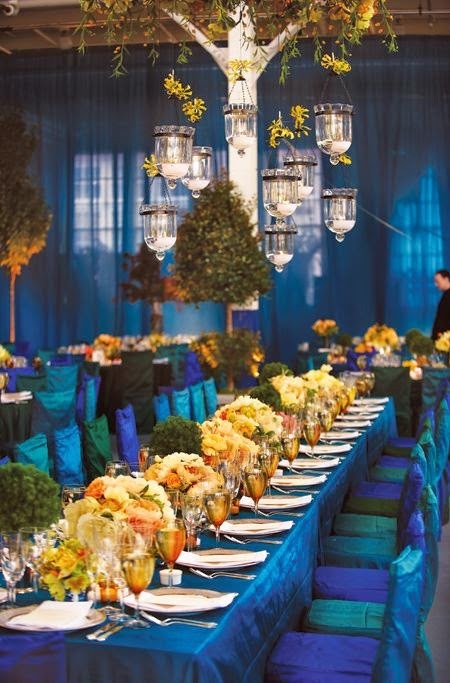 The elegant greens, royal purples, and cool blues of jewel tones play well with the crisp colors of fall. 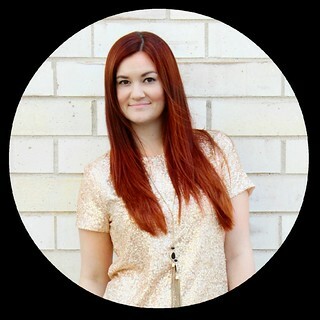 Jewel tones also look great together. 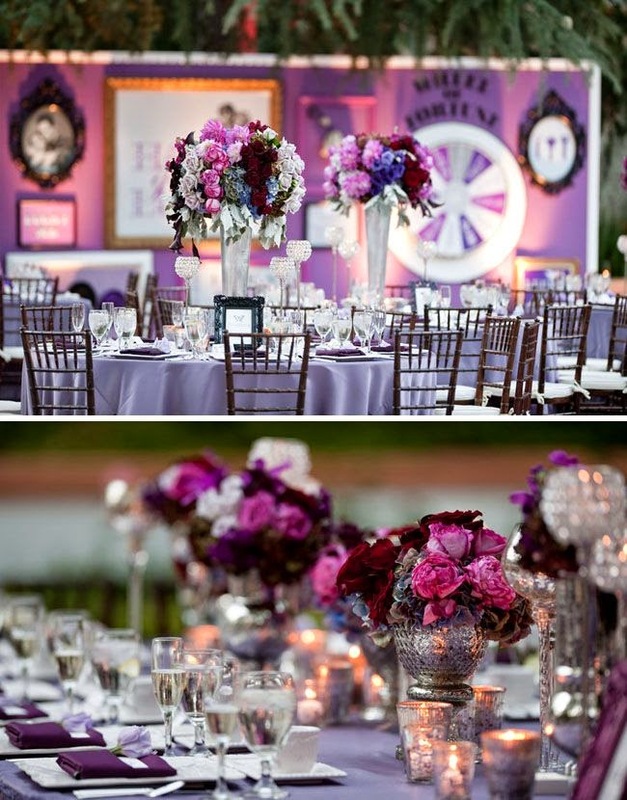 It's easy to put together a beautiful and elegant color palette simply by sticking with only jewel tones. 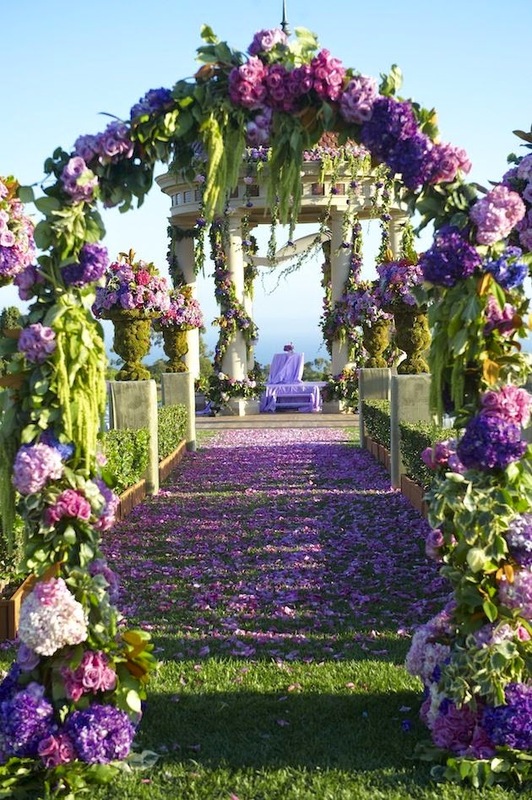 These colors add a level of sophistication and royal glamour to any wedding. 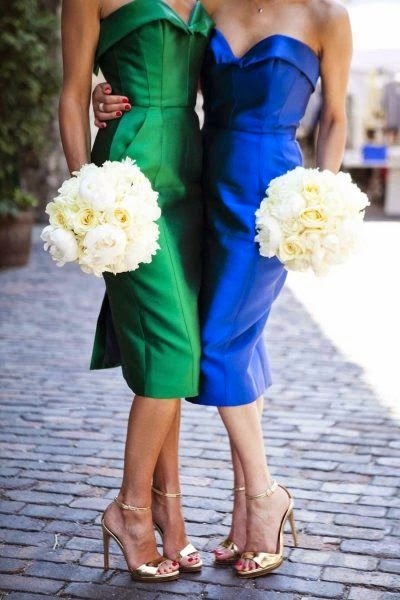 Below are some of my favorite jewel tone inspired wedding looks. 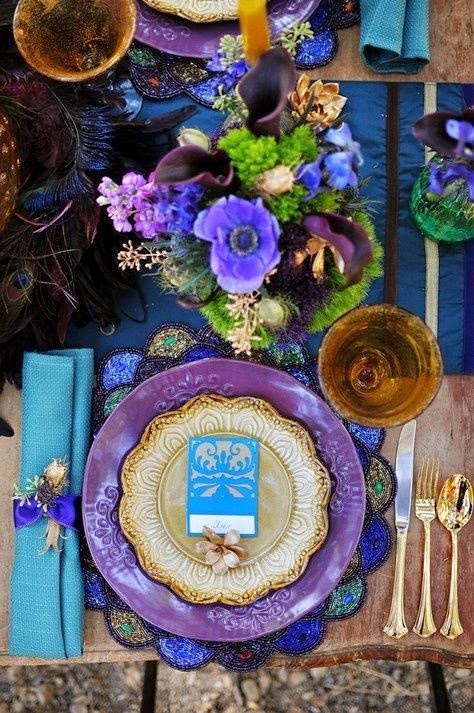 Peacocks are perfect for jewel tone inspired weddings as they tend to encompass all of these colors. 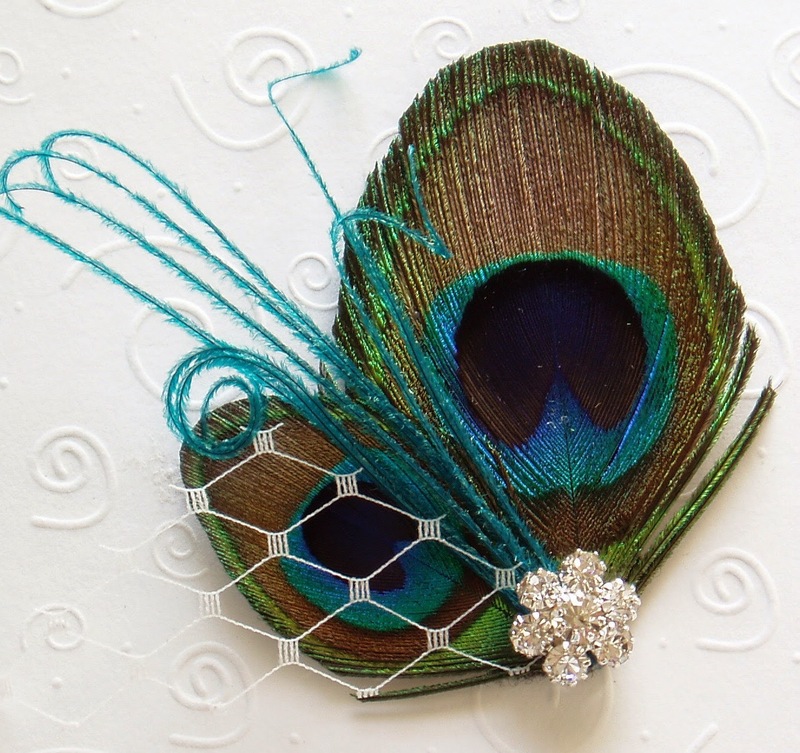 You can purchase this beautiful peacock hair clip from Etsy seller, WeeGardens. 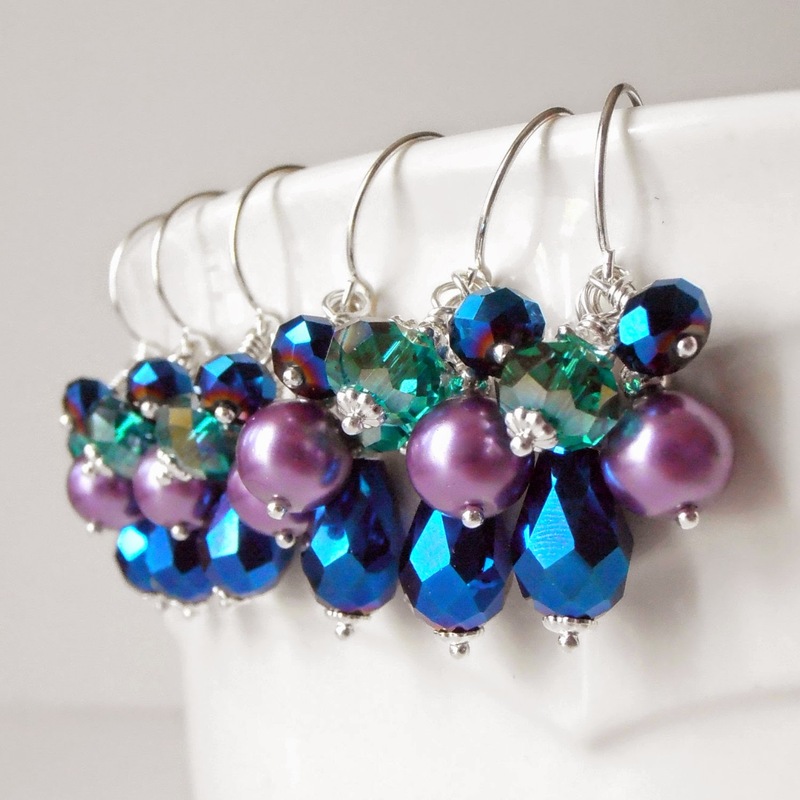 These peacock inspired earrings would make perfect gifts for your bridesmaids. 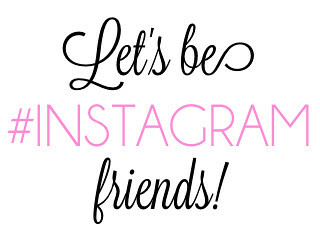 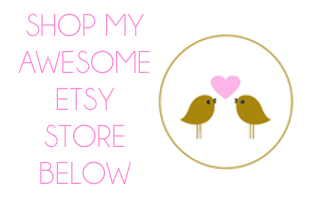 Your can purchase them online from Etsy seller, FiveLittleGems. 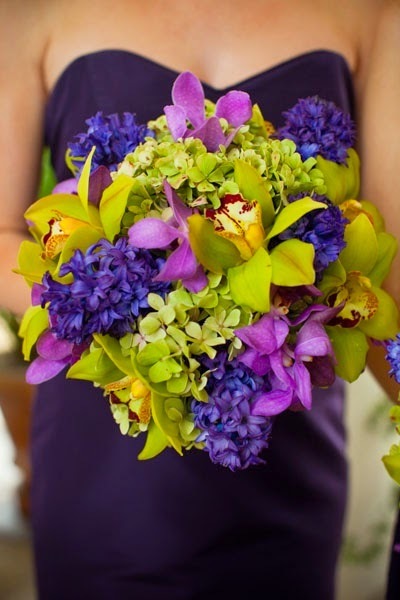 What are your thoughts on jewel tones for a wedding?